Middle age begins at age 41 and it can be a very interesting time. The kids are older and maybe even out of the house. Your career and professional goals are being met and life may start to slow down a bit. A slower pace may be nice, but this isn’t the time to decrease your physical activity or start eating to many unhealthy foods at this time. Obesity in middle age leads to chronic health problems like cardiovascular disease,diabetes and dementia later in life. There is plenty of research on how to lose weight and keep it off, but ”there’s very little research on preventing weight gain in the first place,” says the study lead author, I-Min Lee, ScD, an associate epidemiologist at Brigham and Women’s Hospital and associate professor of medicine at Harvard Medical School in Boston. 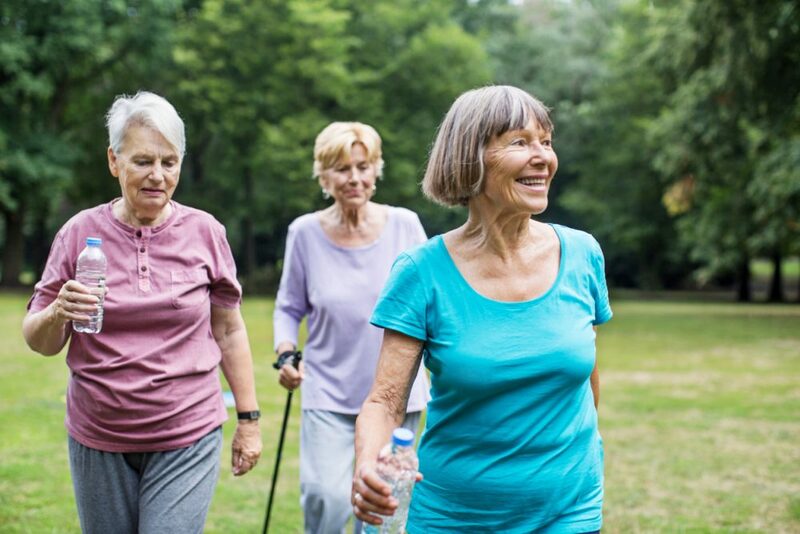 Her team addressed this question, trying to pinpoint the amount of physical activity needed to prevent weight gain over time, without calorie restriction, a question that is much debated with little consensus. The study results are no surprise to Suzanne Phelan, PhD, assistant professor of kinesiology at California Polytechnic State University in San Luis Obispo and adjunct assistant professor of research at Brown Medical School in Providence, R.I., who has researched the topic. 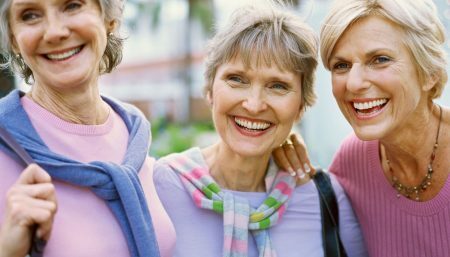 In her recent research, Phelan found that women who have lost weight and are trying to maintain the loss may even have to put in a few more minutes a day than do normal-weight women who are just trying not to gain as they age. Keeping a normal body weight is hard work, it requires a sincere effort and lot of determination. 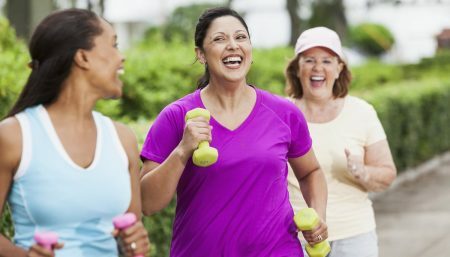 As you age, you need to be more active and exercise a lot whether you are normal weight or maintaining a weight loss. The reason behind the fact is as we get older, our basal metabolic rate [calories burned at rest] goes down. Those who exercise can maintain muscle mass and perhaps not have as big a decrease as those who don’t. Physical activity is always good for health. The recommendation of 150 minutes a week is clearly enough to reduce your risk of developing many chronic diseases, but it appears not to be enough for weight control. If you want to do physical activity to control your weight, you have to do a fairly high level of it, and by that we mean 60-80 minutes a day. 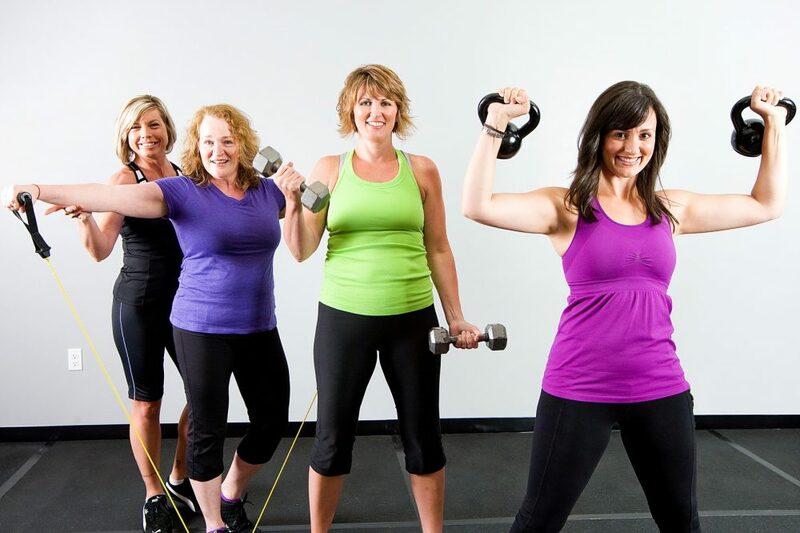 Once you are overweight or obese it is hard for physical activity alone to control weight. It has to be balanced with caloric reduction. It has been estimated that ½ kilo (1 pound) of body fat equals around 16,000 kilojoules (or around 4,000 calories). So to lose ½ kilogram of body fat each week through exercise, we need to burn off approximately 2,500 kilojoules (600 calories) extra each day. Brisk walking, 3 to 4 miles an hour. A moderate walking pace on level ground equals about 3,000 steps in thirty minutes. 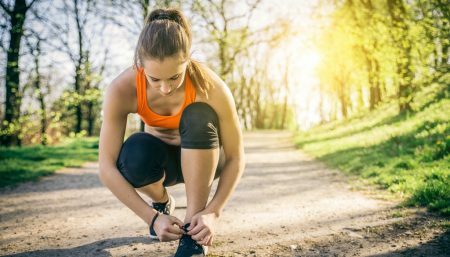 If women choose to be more active — jogging, swimming laps, fast cycling, you only need 30 minutes a day. If an hour or 30 minutes still sounds overwhelming, you can do it in 10-minute bouts. Also you need to avoid start-stop exercise pattern. Exercise designed to prevent obesity may fall short of its benefits if the exercise is irregular, seasonal, or often interrupted. Middle aged weight gain does not have to be inevitable and you don’t need to sit around hoping for the best. 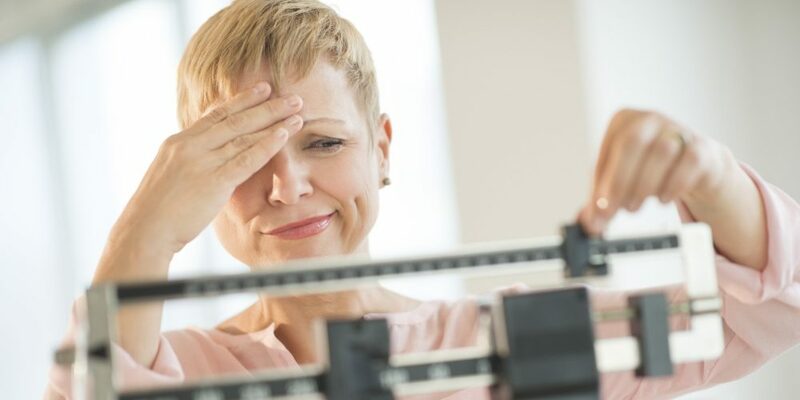 By meeting the problem head on and addressing it properly, you’ll be able to stay slim, toned and healthy throughout your middle ages and well into your golden years.